East Coast, Australia: Loaded Ambassador Cindy Zhou and Australia’s Jenna Russo present newest short film, Wanderlost, as a reminder to get lost in the things you love. 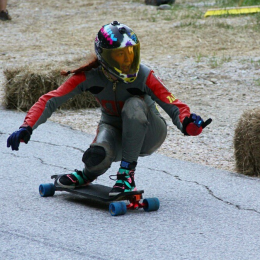 Seattle, WA: Omen Longboards is proud to announce that Loryn Roberson will be riding OMEN Longboards for the 2015 Season. Toronto, ON: Cindy Zhou has left Toronto. Check out her farewell video as well as one of her first in the big T.O. 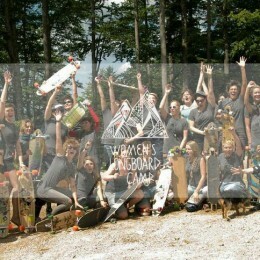 Vancouver, BC: Top Downhill Skateboarder and all around incredible lady, Elena Corrigall takes the Finish Line in Skate[Slate] Magazine Issue 23. Just like the previous two years, 2014 was a raging success. Stuttgart was a blast and WLC will return to southwest Germany in 2015. Sydney, NSW, Australia: The third entry to our lifestyle passion project, Unbound. 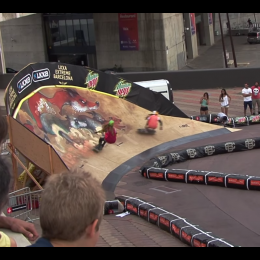 We feature downhill skateboarder Ashley Ward in this mini doco. We cannot help but be jealous looking at Alex Kubiak Ho Chi and Laurent Périgault ripping it on the French Alps. 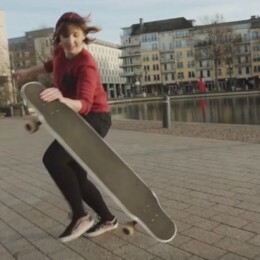 Cologne, Germany: Were you as good as Giulia Alfeo is dancing on a board after only two years at it? probably not.